Durham Volkswagen offers the latest incentives from VW. Helpful, friendly sales staff. Sales staff are there to help you, not pressure you. A knowledgeable salesperson will tell you what you need to know about each vehicle, answer your questions, and help you to choose the model that will best suit you. Great deals. 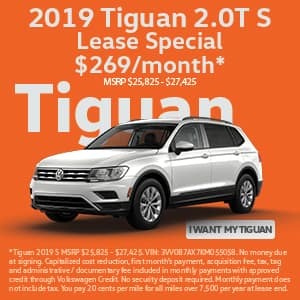 Durham Volkswagen will get you the very best deal possible by offering you the best value for your trade-in, a reasonable sale price, and a low finance rate so that your monthly payment will be affordable. User-friendly website. If you prefer to do your car shopping online, you should find this site easy to navigate. From browsing inventory to applying for financing, you can do it all right from the comfort of your own home. Specials. 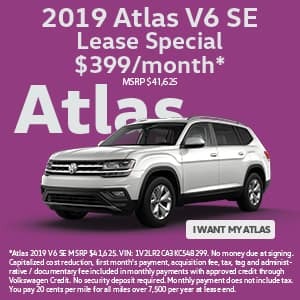 Durham Volkswagen offers specials throughout the year that include sales on current inventory as well as service deals for vehicle maintenance. Check the specials page regularly to make the most of the great deals and sales offered. On-site service center. 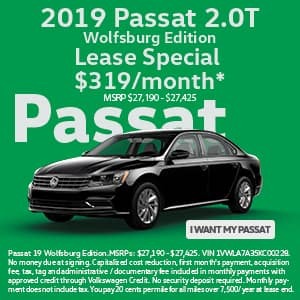 The dealership includes a convenient full-service center that’s available for all Volkswagen owners, even if you didn’t purchase yours here. With easy online scheduling and an extensive supply of Volkswagen parts, vehicle maintenance is quick and stress-free. Easy to qualify for financing. With an array of options, getting approved for financing is always possible. Reasonable interest rates are attainable that lead to affordable monthly payments for customers of all backgrounds and financial statuses. Lifetime Powertrain Protection. Durham Volkswagen takes the Volkswagen factory coverage and extends it for a lifetime. As long as you follow the recommended service schedule for your new Volkswagen, you will receive complete powertrain protection for unlimited miles and unlimited time with no additional charges. Powertrain protection covers the engine, front wheel drive system, and rear wheel drive system transmission transaxle. Since Ferdinand Porsche designed and built the first Volkswagen in Germany in 1931, the brand has been known for a winning combination of luxury and affordability. Since the Volkswagen brand (the original Beetle) entered the US after World War II, it has been a popular choice and an icon of western civilization. A brand such as this with a brilliant beginning and a reputation for quality design is still a popular choice for car buyers. Volkswagen vehicles retain value over time and miles. 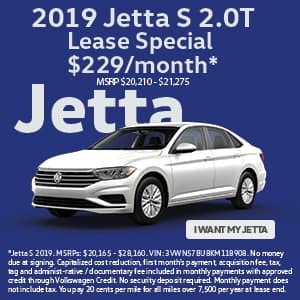 When you invest in a Volkswagen, you invest in a quality vehicle that will not only get you from place to place, but will get you there comfortably. Volkswagen drivers enjoy their cars as well as the journey and adventure on which they embark. To find your Volkswagen, browse online inventory, call (919) 493-7411, or visit the dealership at 3823 Durham-Chapel Hill Blvd. in Durham, NC.